Grew Up... rebelliously, on the island of Motunui. Ever since she was a little girl, Moana longed to sail the ocean. Even though her father Chief Tui Waialiki forbade deep-sea travel beyond the reef, young Moana took every chance she could to visit the water. Profession... future chieftain. Moana is next in line to lead her people and she takes that responsibility very seriously. She spends her day practicing her leadership skills and learning about the traditions of Motunui. Interests... drawing, weaving, and dancing. But most of all, Moana longs to explore the sea. She visits the ocean whenever she can sneak away from her official duties. Relationship Status... single. Moana is too focused on helping her people to have any time for dating. Challenge... saving her island. As life on Motunui begins to sour, Moana sets off on a dangerous journey to return the stolen heart of the goddess Te Fiti. And to do that, she enlists the help of the demigod Maui, who stole the heart in the first place. 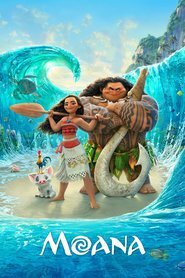 Her journey is a dangerous one, but Moana bravely takes on the task, which turns out to be even more difficult when the prideful Maui is reluctant to help. Personality... brave, intelligent, responsible, and kind. Although Moana has a playful zest for life, she takes her responsibilities very seriously. She’s willing to put aside her personal dreams in order to lead her people. But when it becomes clear that the only way to help them is to undertake a dangerous journey, Moana bravely sets out to achieve the seemingly impossible. Although she sometimes feels awkward or unsure, Moana never lets her uncertainties hold her back. Moana Waialiki's popularity ranking on CharacTour is #898 out of 5,000+ characters. See our top-ranked characters and read their profiles.